DreamHack has been part of eSports for almost 25 years. 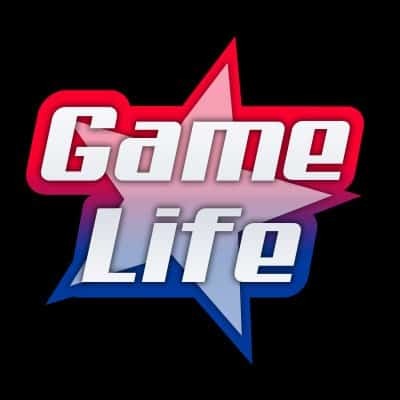 They have been organizing Counter-Strike events since 2002. From 2002 to 2012 there were only two LAN tournaments per year. We only had DreamHack Summer and DreamHack Winter back when CS 1.6. was the most popular Counter-Strike game. Of course, eSports as well as DreamHack wasn’t so famous in the last decade. Therefore, the prize pools were insignificant for a long period of time. However, after CS:GO was released the prize pools started to rise and a number of DreamHack tournaments went up. 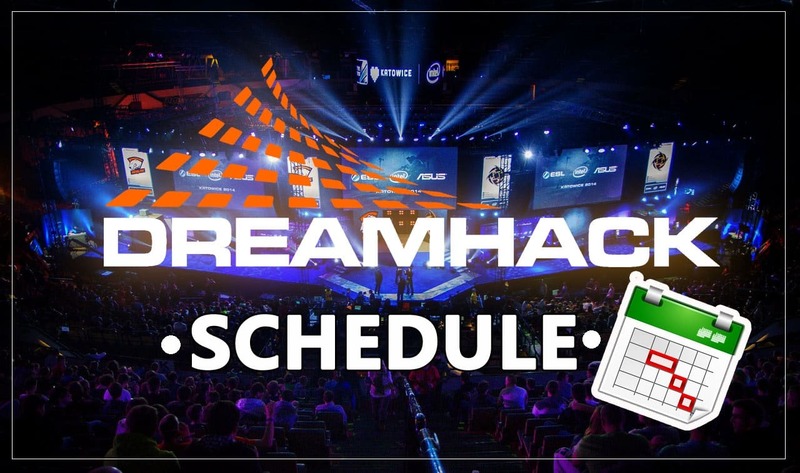 Today DreamHack announced a schedule for the following year. Let’s see when and where the DreamHack events will take a place. In 2019, seven offline tournaments will be organized by DreamHack. Prize pools will remain the same, so that would be $100,000 per each tournament. That places these tournaments in a category of Major tournaments. Like previous years, there will be invited teams as well as teams that came to the main event through qualification tournaments. DreamHack decided to expand the influence of eSports to South America, so in the next year we’ll have an opportunity to watch some of the best teams competing in Rio de Janeiro. Also, DreamHack Open is going to be played at one new location in Europe. One of the DreamHack majors will take a place in Rotterdam, Netherlands. Among past stops, there still will be Tours in Jönköping, Montreal, and Atlanta. The first DreamHack event of the year will be held in Brazil from April 19th to April 21st. After that, teams will gather in Tours, France (May 17 – May 19). Traditional DreamHack Summer is going to be played in June (15-17). Players will have an opportunity to visit Canada in September(6-8) and Netherlands in October (18-20). Fans can watch some of the best CS: GO players in Atlanta from 15th to 17th November next year. Finally, in the last event, DreamHack Winter is going to be played from 29th November to 1st December. As mentioned, DreamHack wasn’t so famous at the beginning. It was a consequence of eSports being relatively unknown. However, the expansion of the DreamHack Open was following the development of eSports. When CS:GO was released back in 2012, DreamHack took place in two new cities. All the way to that point, DreamHack Open was played only in Jönköping in Elmia venue. In 2012 we got LAN events in Valencia and Bucharest. Compared to today’s prize pools, winners were getting a pretty small amount of money back then. Winner of DreamHack Bucharest got $5,000 and the winner of DreamHack Valencia earned even less at $2,500. For example, the winning team of the latest DreamHack Winter, ENCE eports, went home with $50,000 dollars in their pockets. Ninjas in Pyjamas won a competition in Valencia and Fnatic was a winner of DreamHack Bucharest. It seems like DreamHack was investing the most of money in the Winter event in Sweden. The winner of that contest, Ninjas in Pyjamas earned 150,000 Swedish Krona which is about $22,500 US Dollars. That was a significant improvement for that time. Ninjas in Pyjamas was a dominant team in DreamHack Open series in 2013, as well. Locations were the same, including that DreamHack Summer was played in CS:GO for the first time (CS:GO was released after the Summer event in 2012). As well, DreamHack Winter was promoted to Premier Tier. The prize pool was set at $250,000. The winner of that event was Fnatic. They defeated NiP (Ninjas in Pyjamas) in the final. F0rest and his team won two out of four DreamHack tournaments that year. The fourth one which was played in Valencia was won by n!faculty. From 2015 to 2018 the most tournaments were won by North and Team EnVyUs. They share first place with three titles. Overall, Ninjas in Pyjamas has the best results on DreamHack events. The Swedish team won the title six times. Additionally, they have four silver medals and one “bronze”(3rd-4th place). Fnatic is the second team with four golds, one silver, and two bronze medals and they are followed by Natus Vincere ( 1/4/2). So, we can conclude that domestic teams are dominant in this event. Sweden teams won a total of 18 medals (11 golds, 5 silvers). The next one is France with 12 medals (4/5/3). Chief Product Officer, Michael Van Driel was really happy to announce that the DreamHack Open will take a place in new cities. He said visiting new locations is their goal in order to expand eSports. He added that this year is going to be a year to remember (source). Moving such a big tournament to South America is a good way of promoting CS:GO and eSports in general. All tournaments will be broadcasted on DreamHack’s Twitch.tv and other additional digital and traditional broadcast partners of DreamHack. 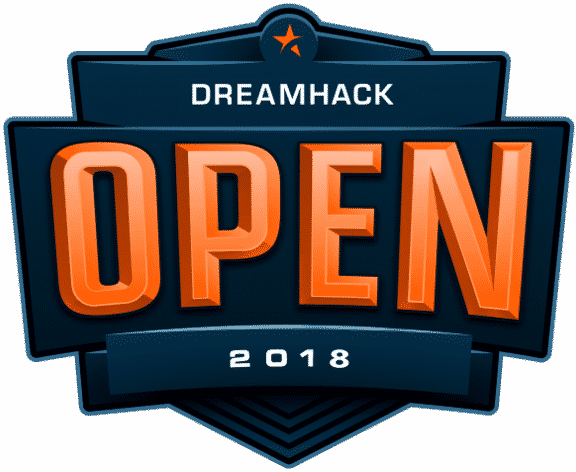 All additional information could be founded on their Twitter and Facebook pages: Twitter: https://twitter.com/DreamHackCSGO , Facebook: https://www.facebook.com/DreamHackCSGO.